On a particularly hot July day in 2014, Laetitia Tamko, who makes music under the moniker Vagabon, played in a cramped kitchen atop the Bushwick DIY venue Silent Barn. To those familiar with the institution, it’s dubbed “upstairs,” a space where lesser-known acts are welcome to perform to smaller audiences than in the main room on the ground floor. About 20 sweaty bodies were piled into the well lived-in space, all crouched as Tamko shared songs about feeling small, while sitting large atop a barstool. The crowd, myself included, stared up as she strummed an acoustic guitar, as what was left of the sun streamed in through the window behind her. When she finished the set, kindred spirit Mitski took the stool; last year, she topped critics’ best of lists. 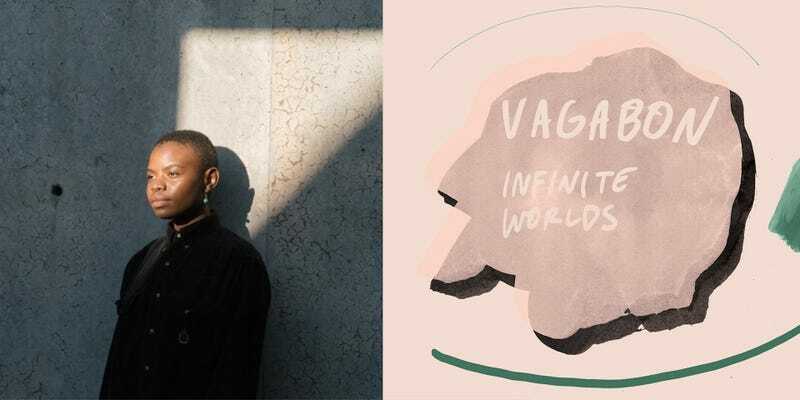 This year, it’s Vagabon’s turn. When dessert has been ordered and dinner comes to an end, Tamko tells me she doesn’t feel any sort of responsibility but sees the power she’s earned. It turns out it’s a power she’s always possessed. “I just want to be an option. I want to seriously attempt things and assert myself in a position that goes beyond girls who look like me,” she explains. “Asserting yourself in a position of something that a lot of people need to see, I needed to see that and as long as I’m able to do that, I’m going to do that. There’s no plot here. There’s no objective. This is me. If it helps someone, it helps someone. If it doesn’t, it doesn’t. It feels good to me.” It feels good to us, too.